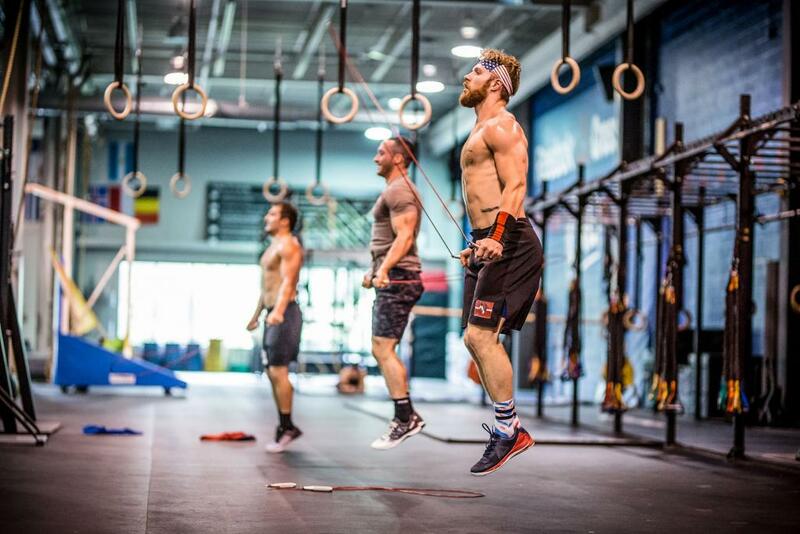 What CrossFit is, and what people often perceive it to be, can be quite different. This often leads to frustration when new clients join a CrossFit Affiliate with specific goals in mind that don’t line up with what CrossFit is designed to achieve. One area where we see this a lot is with fat loss. WHAT CROSSFIT IS . . .
CrossFit is a fitness program that will help you get into the best shape of your life. It is constantly varied. That means you should never be doing the same thing every day. The movements that make up CrossFit Pittsburgh workouts are functional. Generally speaking, the movements will train you to be better at life, sport, military, etc. Finally, CrossFit is performed at high intensity meaning you are putting your max effort into a workout in order to produce fitness related results. Regardless of where you are starting, CrossFit will increase your work capacity. That means you will be able to accomplish more work without having to rest. You will be able to accomplish more work at various amounts of time doing an infinite number of different tasks. You will get stronger, you will get faster, you will become more coordinated and have better balance. WHAT CROSSFIT ISN’T . . .
Notice that the description of CrossFit does not include anything about losing weight or fat loss. CrossFit increases your ability to use your body in a functional manner. No where does it say CrossFit will increase your work capacity while you lose weight. CrossFit’s definition does not state that you will perform constantly varied function fitness at high intensity while also shedding those extra pounds. Yes, weight loss is often a by-product of doing CrossFit. However, CrossFit is not a weight loss program. In fact, some people gain weight through CrossFit because they add muscle to their body. However, this is not part of the definition of CrossFit. This is part of what CrossFit believes is necessary to be FIT. This is often the disconnect we see with people new to CrossFit. They join a CrossFit Affiliate with the belief that they will suddenly drop weight, lose belly fat, and get ripped just by showing up to do workouts 3-5 times per week without changing their diet. Unfortunately, you cannot overcome a bad diet simply by doing CrossFit. Three months in, new individuals see an increase in work capacity (what CrossFit is designed to do), but don’t see a loss in body fat (because they never changed their diet). They think CrossFit isn’t working, so they quit. We believe it is the responsibility of the CrossFit Affiliate to provide nutrition education along with CrossFit. At Industrial Athletics, we talk about diet, we’ve held seminars about diet, we put videos out through The Stronger Revolution on how to control your diet, and we offer dietary counseling through the Coach’s Corner. However, at the end of the day, it is your responsibility to change what you eat. Everyone knows that cookies, soda, pasta, alcohol, and other processed foods are not good for you. Everyone knows that you should eat fruits and veggies as often as possible. If you choose to do CrossFit without changing your diet, if you choose to remain uneducated on what you should and shouldn’t eat, if you don’t talk to your CrossFit Affiliate owner about your diet, then you should not expect to reach a fat loss goal simply because you started working out. It may not happen. Your CrossFit Affiliate will control what you do to increase your fitness level and be able to do more work for a longer period of time. Your CrossFit Affiliate cannot control how you fuel your body once you leave the gym. That’s on you! Previous PostHOW MUCH DOES A PERSONAL TRAINER COST IN CLAPHAM, SOUTH WEST LONDON, UK?